Manchester United have beaten Crystal Palace 3-1 at Selhurst Park and they continue their race for top four. They bounced back from their goalless draw against Liverpool on Sunday with Romelu Lukaku scoring two goals for the Red Devils. Joel Ward brought one back for Crystal Palace, but Ashley Young made it three for United to seal the victory. It was a frantic first half for the Red Devils. Despite United having more of the ball, Lukaku missed an easy chance from a corner. Similarly, Andros Townsend missed a sitter on the other end. 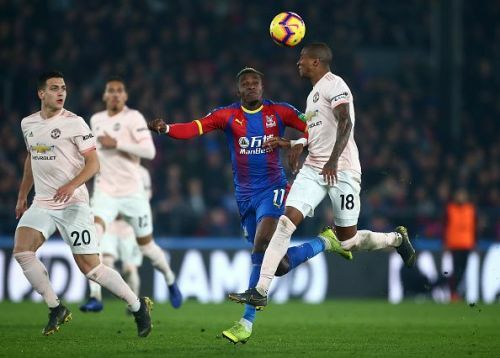 Eventually, Manchester United drew first blood after Luke Shaw found the Belgian striker on the edge of the box and he powered his shot into the bottom corner. Manchester United went into the second half with 1-0 lead. In the second half, Paul Pogba missed a header from close range. The opening stages of the match was similar to the first half as Manchester United dominated proceedings. Then, Lukaku scored Manchester United's second of the night. He made use of his physical strength and netted the second goal. Crystal Palace pulled one back with Joel Ward heading the ball in from a brilliant cross from Jeffery Schulp. It did not take long for the visitors to make it 3-1 thanks to Ashley Young. After making it 3-1, United comfortably dealt with the pressure and ensured that the three points were in their pockets. Ole Gunnar Solskjaer would be extremely pleased with the team's performance as his side was missing a number of key players. This important victory meant that the Red Devils are still only one point behind Arsenal who are on fourth-placed after thrashing Bournemouth at the Emirates Stadium. Here was how fans online reacted to Manchester United's victory. FT 1-3. Excellent result for United after so many injuries in a much tougher game than the score line perhaps suggests. We had to work very hard for that. Pleased for Rom. He needed that. Disciplined performances in midfield which was needed with Matic & Herrera out. Good work. Another test passed for Ole as he navigates a tough game with his entire first choice attack and two thirds of his first choice midfield unable to start. And yet another away win for him too. Professional, mature and hard fought win. Really satisfying result for us. Controlled the game for long periods, a few worrying points in both halves but we take the points thanks to Romelu Lukaku (x2) and Ashley Young! Lukaku now has 10 Premier League goals this season.